Cousin Shannon, Henry and I started our Sunday with a bike ride up the Hudson River Park with a short stop on the Upper West Side so Henry could run a little bit. After the bike ride, Mark joined us for a walk across the crowded Brooklyn Bridge to the Brooklyn Bridge Park. Henry was very happy to play with Shannon and show her the park. Once home and exhausted, Henry did not want to go to bed for fear of missing something so he slept with Shannon on the pull out couch for half the night. Shannon and me on the Brooklyn Bridge. Ready for our bike ride. Shannon and Henry near the Hudson River. Henry rides the ferry home. Shannon poses under the Manhattan Bridge. Shannon and Henry walk through the park. 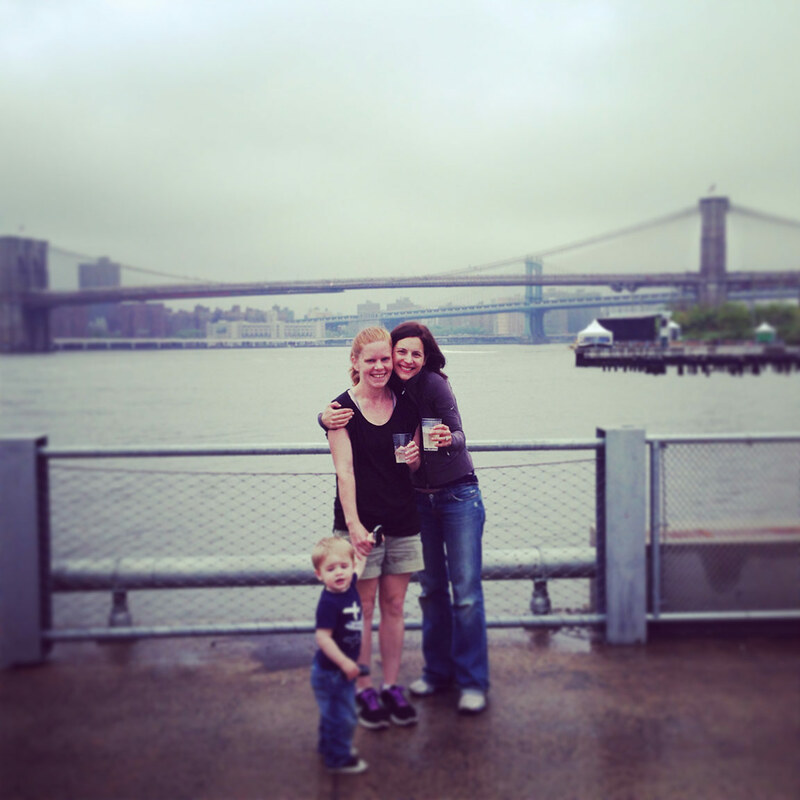 Our Saturday stroll this week took us to Brooklyn by way of the Manhattan Bridge. 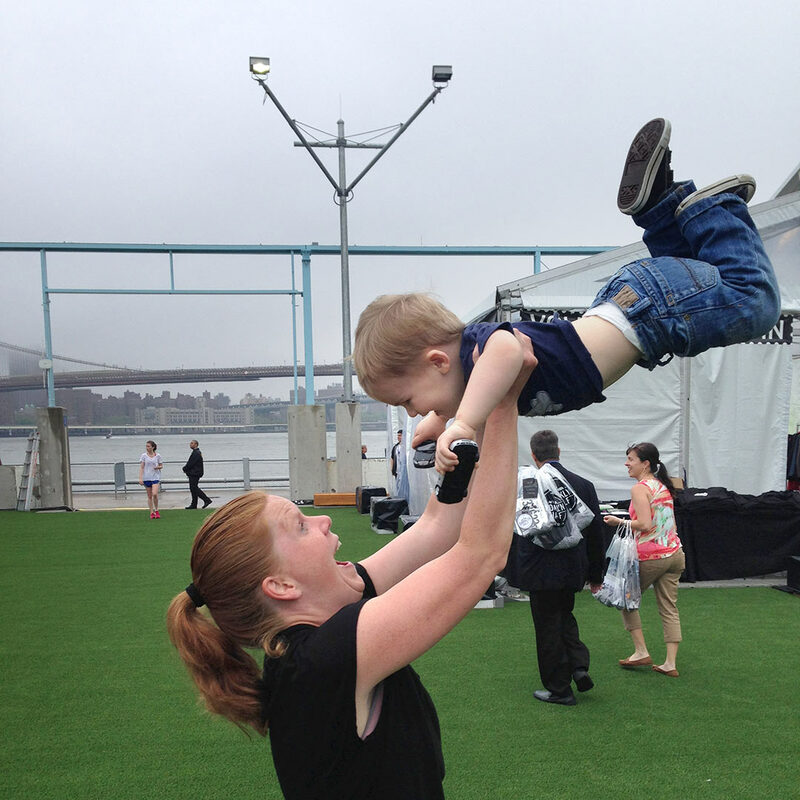 Henry enjoyed playing on the slide at a playground in the Brooklyn Bridge Park. We rode the East River Ferry back to Manhattan. It was another wonderful fall day. Mae’s weekend in New York was a busy one. Thursday, we ate snacks from the Wafels & Dinges cart and walked on the Brooklyn Bridge. This was also Henry’s first time on the bridge. Friday, we ate lunch at Takahachi Bakery (Gram’s favorite place), and took a walk to SoHo. Julie wanted to go to a few stores in the area. We stopped in at Henry’s daycare so Mae and Julie could meet MaryEllen and see where Henry spends his days. Saturday, Mae met her aunt Katie (Zana) who attends Mount Holyoke College in Massachusetts. We all ate dinner at Julie’s favorite Bourdain restaurant, Les Halles. It was a fun few days and we were really sad to see cousin Mae and Aunt Juj go early Sunday morning. The apartment seemed even more full of life with two babies. We hope to see them again very soon. Julie and Mae on the Brooklyn Bridge. Julie, Mae, Jacqui and Henry at Les Halles Downtown for dinner. Julie and Mae outside Les Halles. Henry, Jacqui, Mae, Julie, Katie and boyfriend, Reynato.